The world's first micro environmental protection intelligent transportation tool - VSMN1. VSMN1 Small Dual Wheels Smart Self Balancing Electric Scooter have a small body, light weight, carry is easier than 2 big wheels balance scooter , operation is simpler than single wheel electric vehicle. It promotes the development of the high-tech life. You only need to slightly tilt your feet, will be able to control its direction, short-distance travel is very convenient. It's like a scooter, but it is more easier to control direction than scooter. The old man also only need 2 minutes to learn. 2. Cheap,price as 1pcs iphone. 5. 15 degrees climbing, 0 degrees turn Angle. 7. 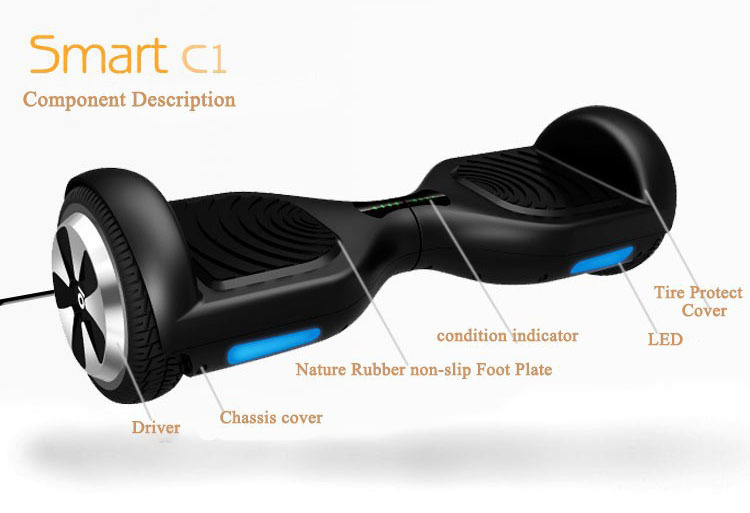 Import core parts(gyroscope, chips, batteries), dual wheels dual drive dual balance safety system. 8. Scooter's chassis is very low, can get off easily, very safe. 9. There is no any noise. 10. Mechanical strength is very good, stable and solid.